#TurksandCaicos, September 21, 2017 – Providenciales – All but one of 14 government schools in the Turks and Caicos suffered damages, still the Deputy Governor shared that the plan was to reopen some of those institutions this week had it not been for dangerous hurricane Maria. 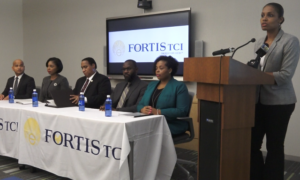 The DG, Anya Williams said some institutions like HJ Robinson high lost an entire block, but the plan was to move those classes to other areas of the campus. There is consideration being given to finding alternate sites for the schools to function and even a shift system was mentioned by the country’s leaders, so that the thousands out of school now, could get back to formal learning. 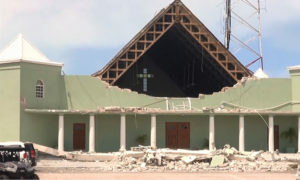 The hit of Hurricane Irma came during week one of the new school year; the handful of schools which were able to get back to the business of educating our children had to close up again by Wednesday in light of the new system which by tonight will be upon the TCI. 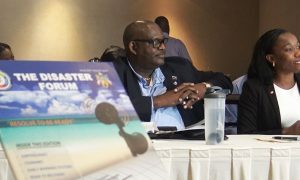 It was during a media debrief Wednesday at the Office of the Premier that the Deputy Governor shared this news and other advancements including that Scotia Bank will give a 90 day mortgage holiday to those who qualify; that more seriously ill patients were moved to regional hospitals until after the storm; that the two indigenous airline companies moved their fleet of planes out of the country until Maria passes by and that Government’s payroll for staff was in her hand and ready to be doled out. 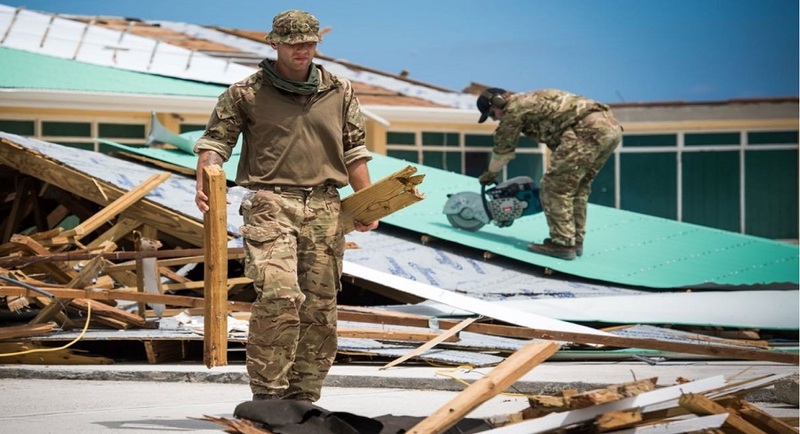 The DG called for volunteers to aid the #DDME and it was shared that Deputy Governor Anya Williams will remain in Grand Turk during Hurricane Maria, where about 86 UK Soldiers are also stationed. As for the one school not damaged by #HurricaneIrma, well it was the school in Kew, North Caicos – the Charles Hubert James Primary.